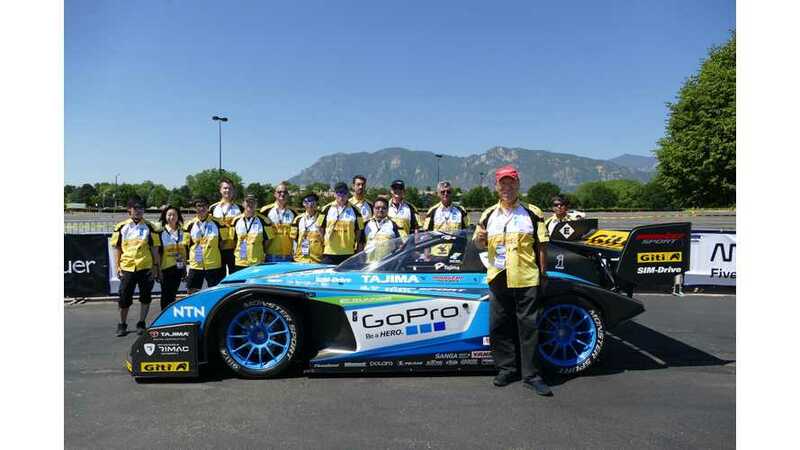 After last year's second place finish, Japanese-Croatian alliance Team APEV with Rimac Automobili and Monster Sport are set and ready to compete for the title, at the 2016 Pikes Peak International Hill Climb in its 100th anniversary. Editor's Note/Addition: Below you can find the first few videos from practice sessions. The vehicle - the Tajima Rimac E-Runner Concept_One - is equipped with four electric motor for total of over 1MW of power. Also known as The Race to the Clouds, the Colorado hill climb is 19,99 km long and has over 156 turns, climbing 2860 m from start at 1440 m above sea level to finish at 4300 m.
The goal for this year is of course to at least repeat a podium finish. The 100th Pikes Peak International Hill Climb starts 26th June in Colorado USA. "The Tajima Rimac E-Runner Concept_One is an evolution of the 2015 race-car. However, it has received numerous updates – refined aerodynamics, improved suspension geometry and shocks and a lot of new software to fully utilize the powertrain’s 1+ MW of power. The 2016 Tajima Rimac E-Runner Concept_One has no gears or differentials. The power of each independent motor is transferred to each wheel by an innovative chain drive system developed specifically for this project, which saves weight and space. Embracing the Rimac Automobili technology, the 2016 Tajima Rimac E-Runner Concept_One features an adapted racing version of the Rimac All Wheel Torque Vectoring system, first implemented in the Rimac Concept_One. The Rimac AWTV controls the torque of each motor 100 times a second. The system can vary the torque on each wheel depending on the steering angle, speed, longitudinal and lateral forces, yaw-rates and a number of other variables. The ECU runs the collected sensor-data through complex mathematical algorithms which calculate the optimum torque distribution on a millisecond-level. This enables the vehicle to take full advantage of the tires, squeezing the maximum out of their potential and giving the driver the desired vehicle dynamics at any given moment." “We are happy to announce that we are going to attack the Pikes Peak again with Mr. Nobuhiro “Monster” Tajima, one of Pikes Peak’s legends. 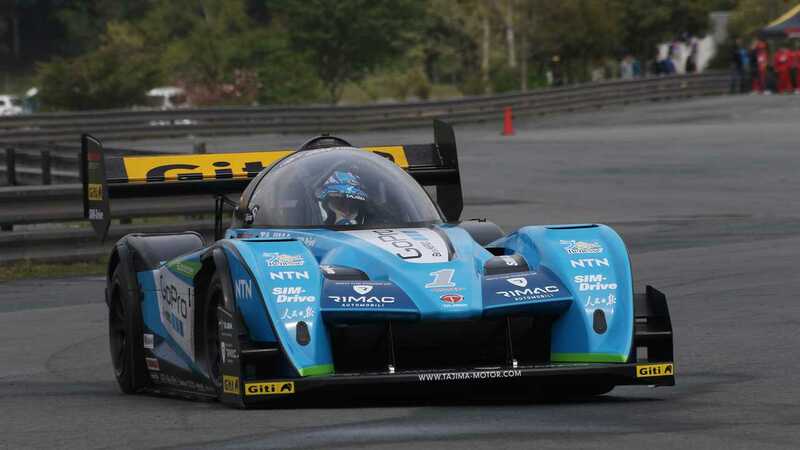 Last year’s 2nd place was quite an achievement for us considering that it was the first time that we have participated and that we have lost the mechanical braking system during the race. We have learned a lot and collected terabytes of data that have helped us to improve our Torque Vectoring System and many other technologies we’re working on. This experience has flown back in all our projects – especially the Concept_S which was created as a homage to our collaboration with Mr. Tajima. All our industrial clients have also benefited from this experience - the DNA of this great project can be found across different vehicles that we’re developing for various large and small OEMs. “Last year Mr. Tajima set a new all-time top-speed record. We believe that this year we will make an even better result in the speed trap, and of course, compete for the top spot on the podium.”.